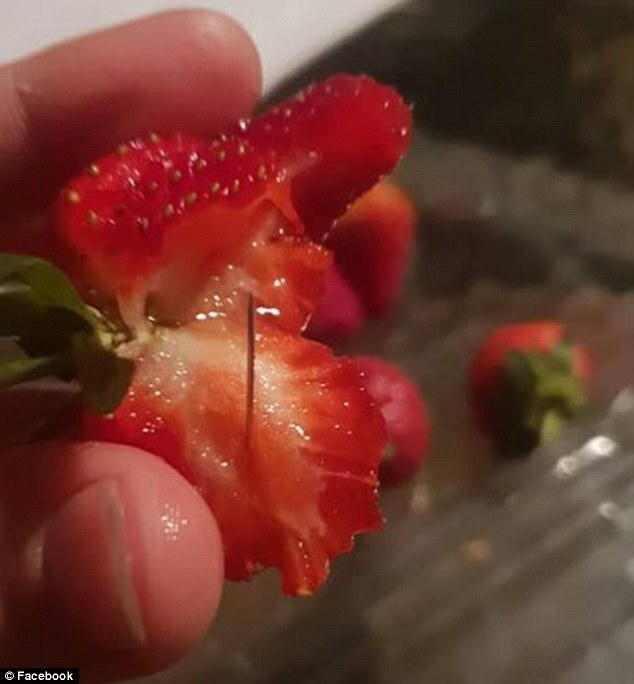 Australian police say sewing needles have been found hidden in an apple and a banana, amid a nationwide scare that has tormented the strawberry industry. 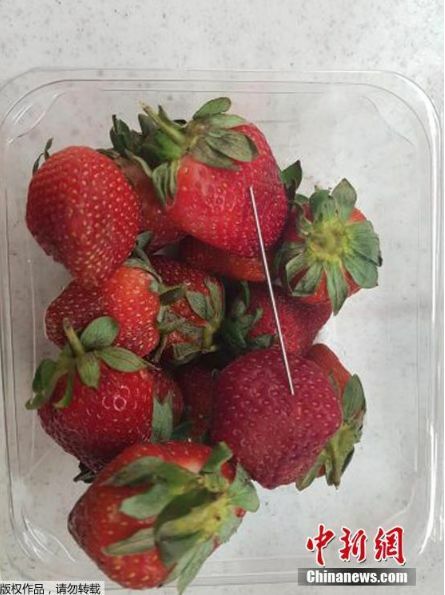 Since last week, Australians in every state have reported finding needles concealed in strawberry punnets. Health Minister Greg Hunt has called it a "vicious crime" and ordered the nation's food watchdog to assist in resolving the scare. 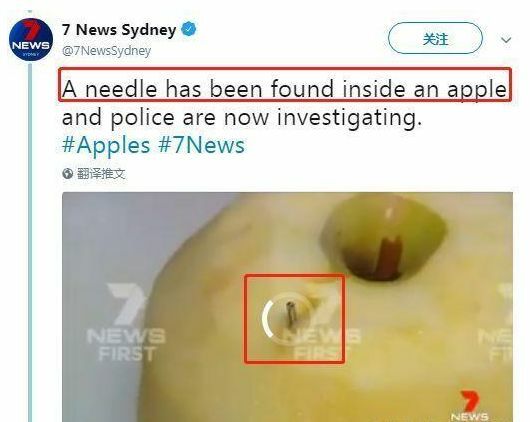 Police said the apple and banana cases, both in Sydney, were "isolated". But they added to more than 20 scares involving strawberries in New South Wales (NSW) alone, Supt Daniel Doherty said. The first cases emerged in Queensland. In that state, authorities say they are investigating whether the sabotage is due to one person, or several people operating independently. 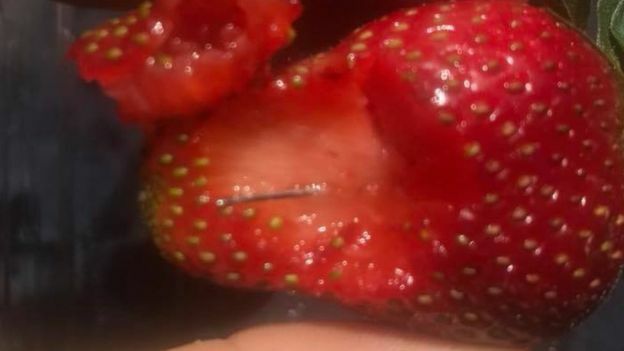 In the most serious case, a man was taken to hospital last week after eating a strawberry that contained a needle. Police have stepped up warnings about copycat incidents, saying perpetrators - and those who make false reports - face up to 10 years in jail. The scare has spread to Victoria, the Australian Capital Territory, South Australia, Tasmania and Western Australia. 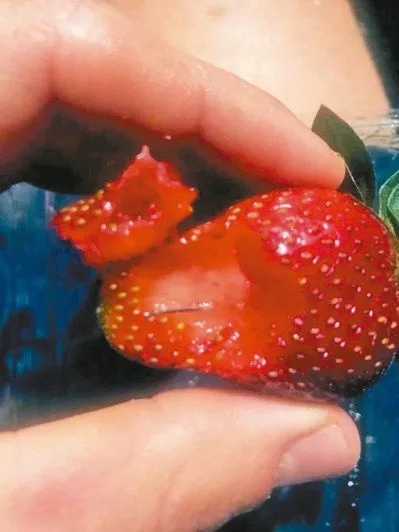 Several strawberry brands have been withdrawn, while New Zealand's biggest grocers have stopped selling Australian strawberries as a precaution. 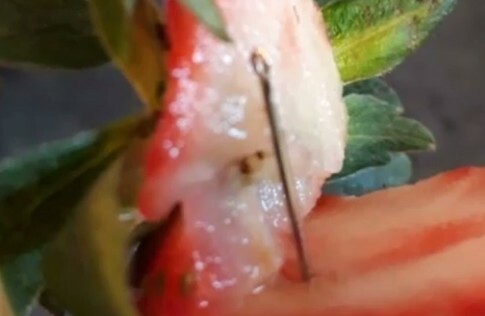 Health officials have advised Australians to cut up strawberries before eating them. "This is a very vicious crime and it's a general attack on the public," Mr Hunt said at the weekend. 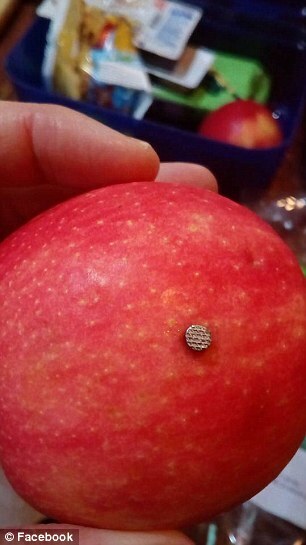 It is not just needles which have been found embedded in Australian fruit - a nail has now been discovered implanted inside an apple. A South Australian mother was horrified when she uncovered the rusty nail as she prepared lunch for her son. A Woolworths spokesperson told Daily Mail Australia: 'We're aware of the customer report. The details have been referred to the authorities leading the response to this matter and we'll consult with them on next steps'. The South Australian produce market has announced it will install X-ray machines to scan fruit for metal objects before they are distributed to market. 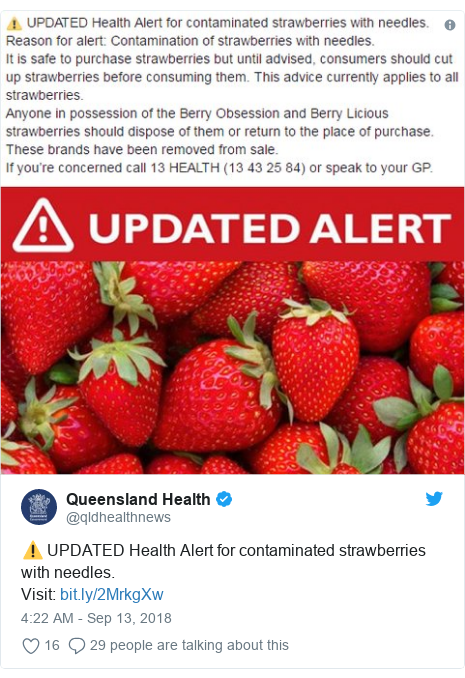 Queensland police say complicated supply chains in the strawberry industry have made for a slow investigation. Two states have offered A$100,000 rewards for information. In Western Australia, Premier Mark McGowan said the people who tampered with fruit were "evil" and risked others' lives. The prevailing explanation is a disgruntled employee in a packing centre, which is where police believe the needles were introduced. Many of the following cases could be the work of copycats. 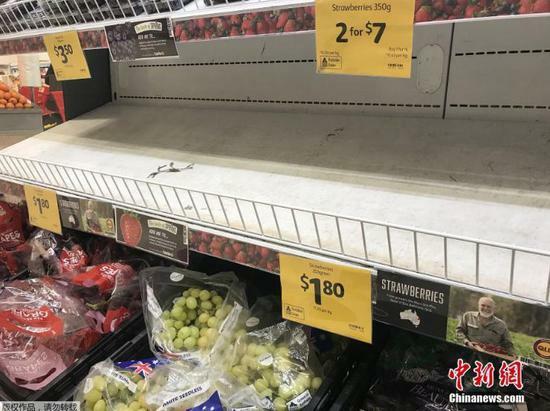 Strawberry prices have already dropped around the country, with prices in Western Australia now below the cost of production, local media reported. The scare - which comes during the peak of production - has affected thousands of workers in an industry worth about A$130m a year, the federal government said. Queensland has announced a A$1m assistance package for farmers in the state. One manager of berry farms, Gavin Scurr, asked the public to continue buying strawberries. "There's a handful of cases in 100 million punnets but it's really brought our industry to its knees," Mr Scurr, from Piñata Farms, told radio station 3AW. Strawberry producers had begun ordering metal detectors as a safety precaution, said Strawberry Growers Association of Western Australia president Neil Handasyde.